Full Service Hot Rod Garage Tin Metal Sign Rat Rod Race Car Mechanic Car Show B97 | The Wild Robot! Bullet 4: 16" x 12"
All signs are professionally painted using vibrant, quality paints. 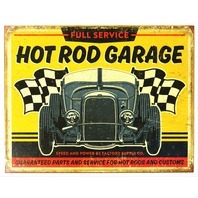 We have a wide variety of nostalgic, vintage, retro and sports signs. 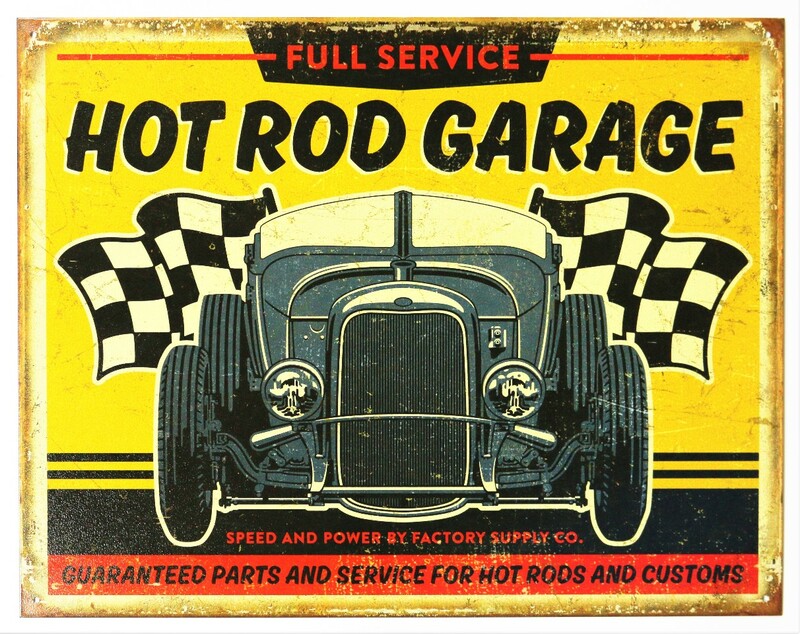 Our signs are perfect for decorating your home, garage, office, shop, hunting lodge, cabin, rec room, bar or man cave with and make great gifts.